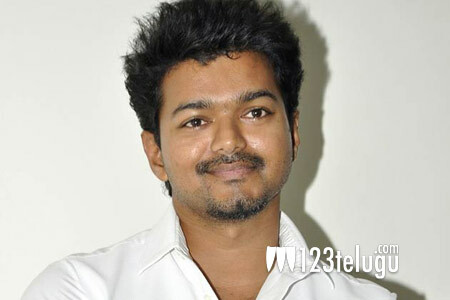 It is a known fact that Tamil superstar Vijay is busy filming for his upcoming flick in Chennai. Nenu Shailaja fame Keerthi Suresh is the female lead and latest update reveals that the first look of the film will be revealed on the auspicious occasion of Diwali. The action entertainer will also be released in Telugu simultaneously. Post the success of Vijay’s last film Policeodu in Telugu, the makers are keen on bringing this film in Telugu as well. Shooting of this film is nearing completion and more details will be revealed soon.